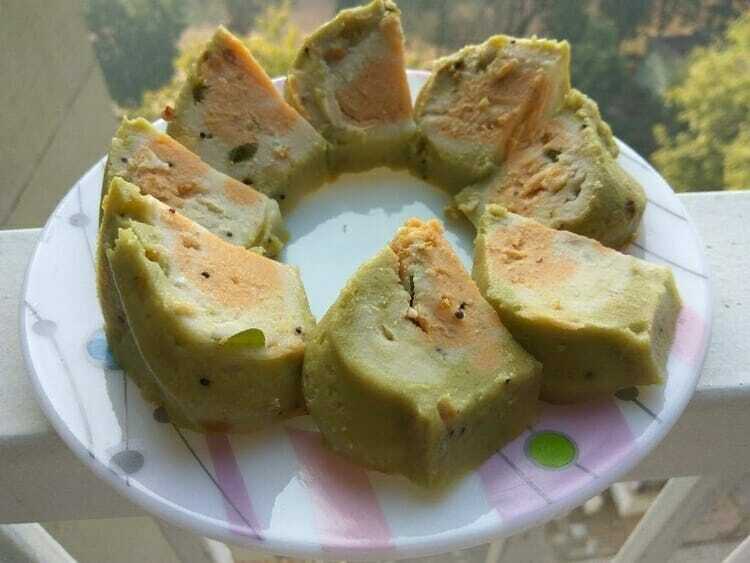 Morkali is a traditional dish prepared with rice flour and Sour buttermilk. Usually, lot of oil is used to get the ‘halwa’ consistency. But with OPOS, minimal oil is used in the preparation without compromising on the taste. Do the seasoning in oil and keep aside. In a bowl mix buttermilk and millet flour adding salt. Add the seasoning to the mixture. Divide the batter into three portions. Add coriander leaves puree to one portion and carrot puree to another. Grease the bunt cake tin and pour the green batter followed by white and orange. 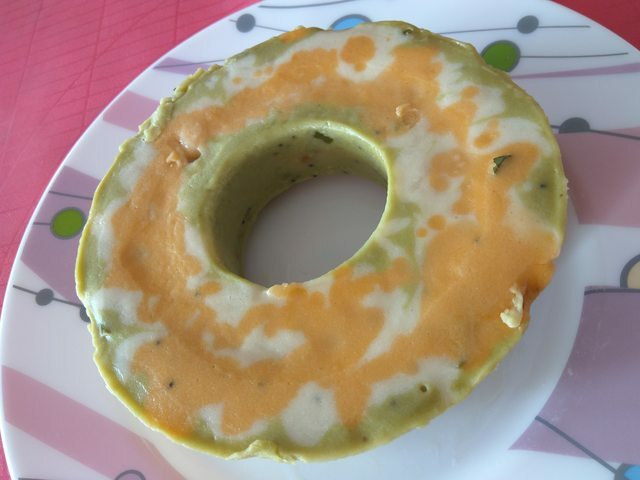 In a pressure cooker, add a cup of water and place the cake mould. Close and cook for 6 whistles. Open after the pressure settles down. Remove from the cake tin after it cools down completely and serve.